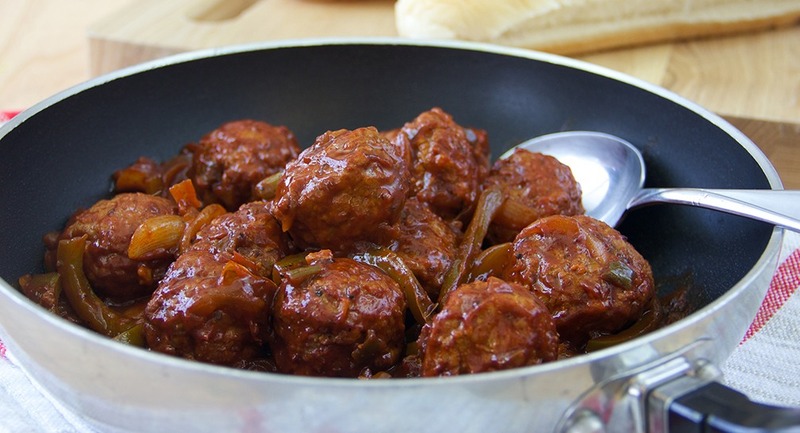 Recipe Source Online: Sloppy Joe Meatballs - another great recipe for that playoff party! 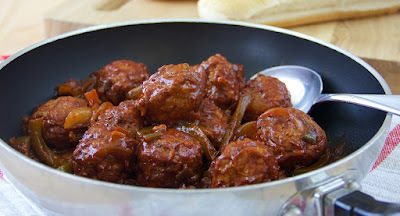 Sloppy Joe Meatballs - another great recipe for that playoff party! Heat oil in large skillet on medium-high heat. Add vegetables; cook and stir 3 minutes or until tender-crisp. Stir in Skillet Sauce and meatballs. Bring to boil. Reduce heat to low; cover and simmer 10 minutes. Spoon meatballs and sauce into rolls.